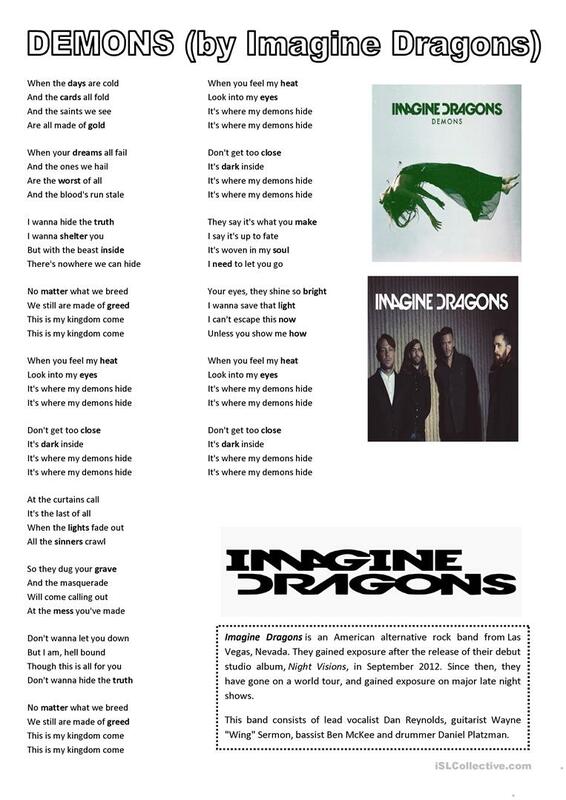 Listen to the song "Demons" by Imagine Dragons and fill in the gaps with the missing words. 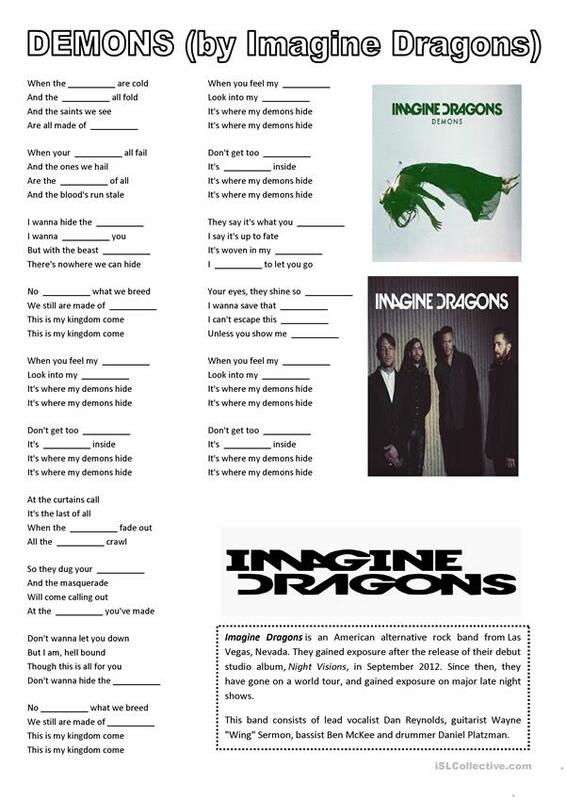 By doing this, students will be able to learn different grammar structures, phrasal verbs, some new vocabulary, etc. The present downloadable printable was created for high school students and adults at Intermediate (B1) level. It can be used for honing your groups' Listening and Reading skills. It includes the answers, too.